It’s time for my favorite season of the year once again. 🙂 I love the whole month of December. 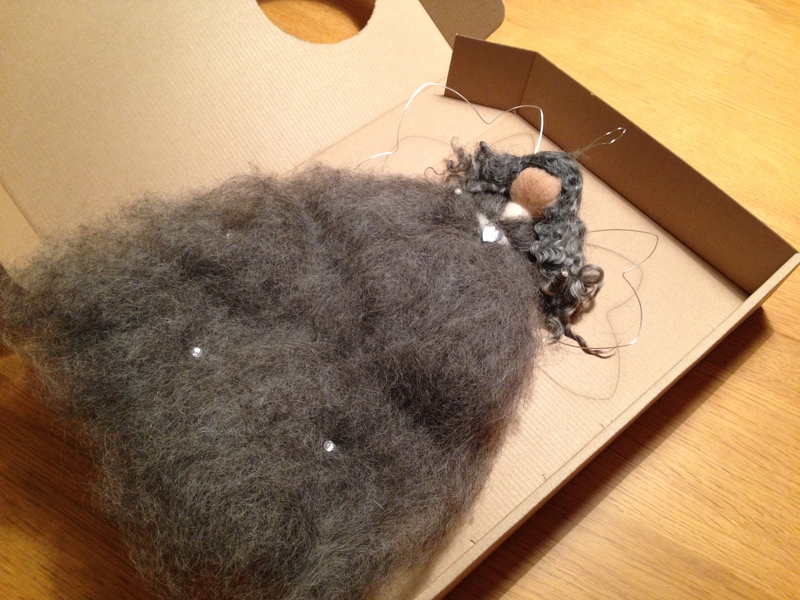 We’ve had a very busy 1st of Advent weekend full of family activites. The weekend started with a little birthday party for Charlie. He turned two a few days ago but we couldn’t attend the party. 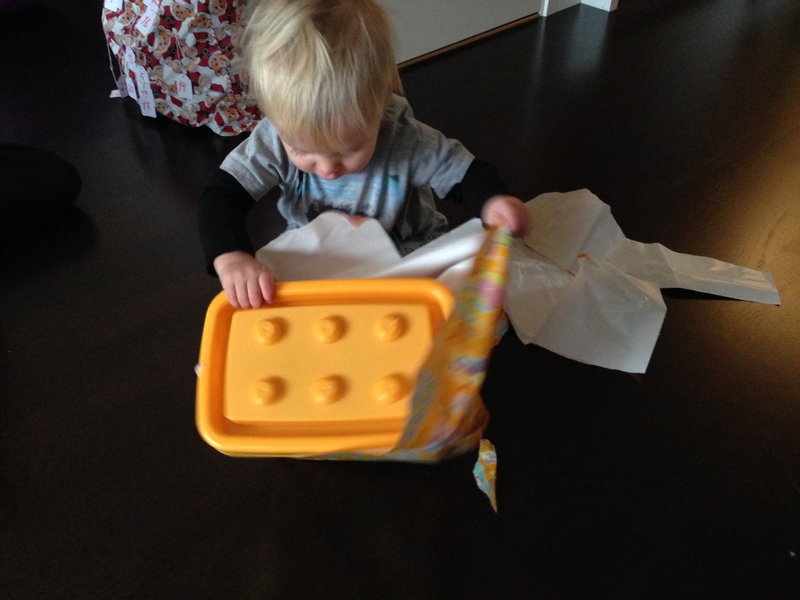 He got a big box filled with a building blocks. They resemble Lego a little bit but are for younger children who can’t use Lego just yet. 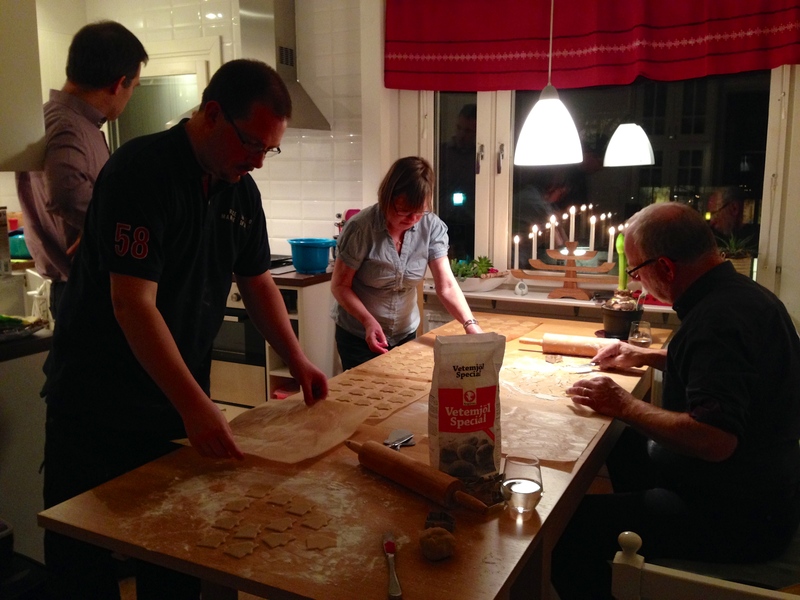 Our Saturday continued with baking gingerbread cookies with my family. Not sure how many years we’ve done it now but it must be somewhere around 30 years. Minus the years I lived in the US of course. 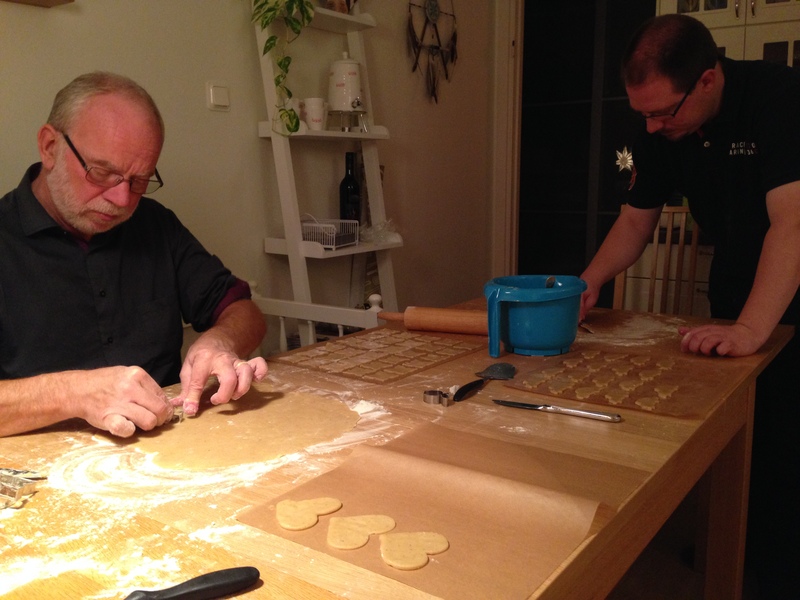 My father and brother “in action”. My mother and hubby was in charge of the oven while the rest of us baked. This year I wanted to start a new tradition. 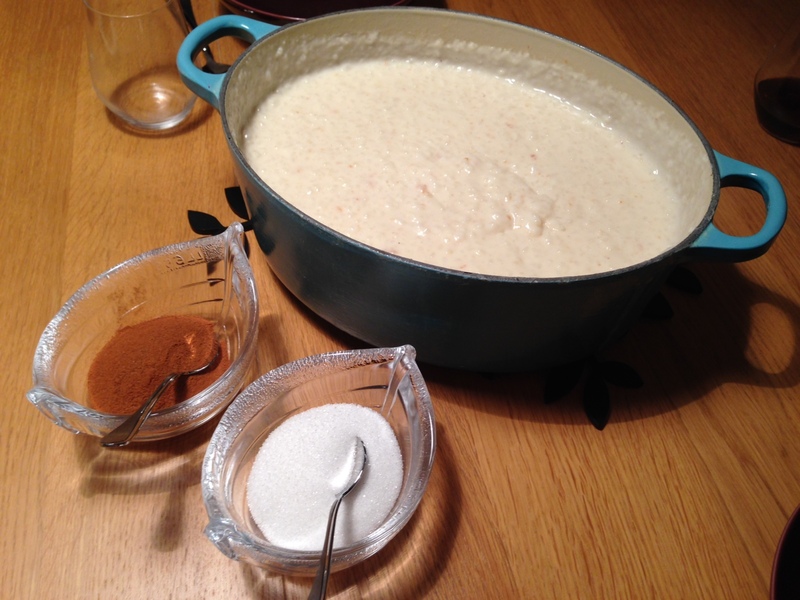 I thought it could be fun to eat rice porridge on our gingerbread baking day. Hubby made the rice porridge from scratch. It tastes so much better then the pre made rice porridge found in the grocery stores. Takes longer time to make but it’s so worth it! He made 10 portions of rice porridge so now we have two dinners in the freezer too! Rice porridge with cinnamon and sugar. I enjoyed visiting a new Christmas market but the one in the Old Town of Stockholm is still my favorite. 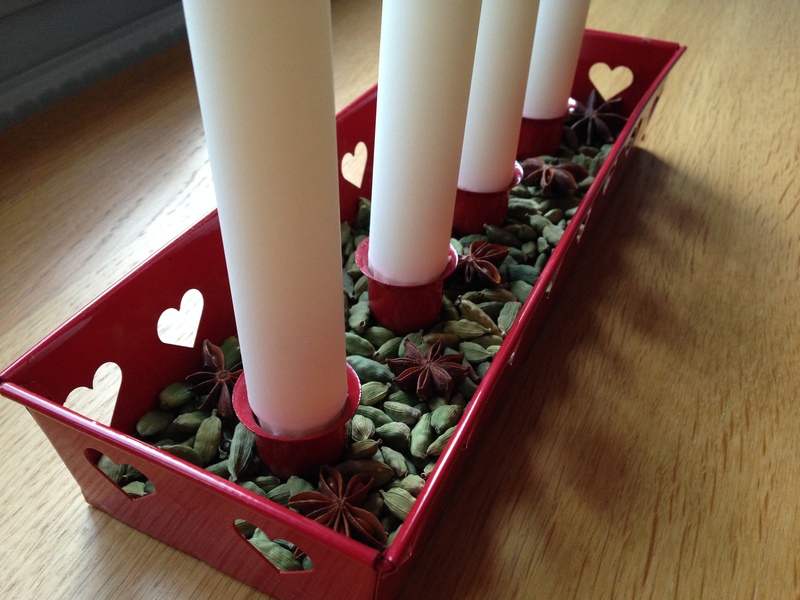 Green cardamom and star anise in the Advent holder.